The last couple of days have been pretty hectic with looking for cars and sorting out an apartment. Monday and yesterday we managed to find a car we wanted, get it to our friend Steven who's a mechanic, commit to the purchase then arrange insurance. That was Monday. Yesterday we had our insurance OK'ed, we picked up the car, paid for it, had the title notarised, dropped the previous owner back at his work, headed for a smog check, got a VIN inspection (the car was registered out-of-state) then stood in line at the DMV for an hour to get an appointment to check our credit and organise a new clean title and new numberplates (a bit painful, but we managed) then straight back to Steven to have the oil changed and another look over the motor. 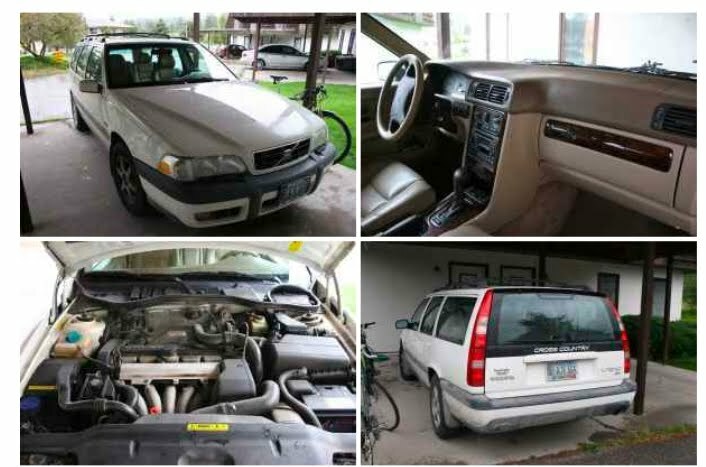 So we now have a running (touch wood) 1998 Nevada-registered Volvo Cross Country V70 turbo automatic station wagon.